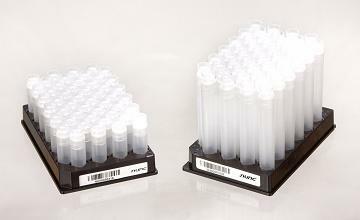 Nunc™ Cryobank storage tubes take traditional cryostorage to the next level with laser etched 2D barcodes and standard microplate format racks, offering greater storage capability compared to standard cryoboxes. 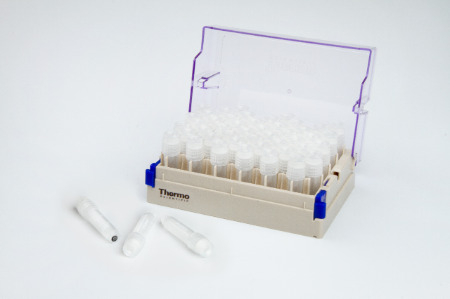 Compatible with the complete line of 2D barcode readers, capping/ decapping equipment and labelling options, Cryobank tubes can be used in manual or automated storage of diagnostic and biological samples down to vapor phase liquid nitrogen. 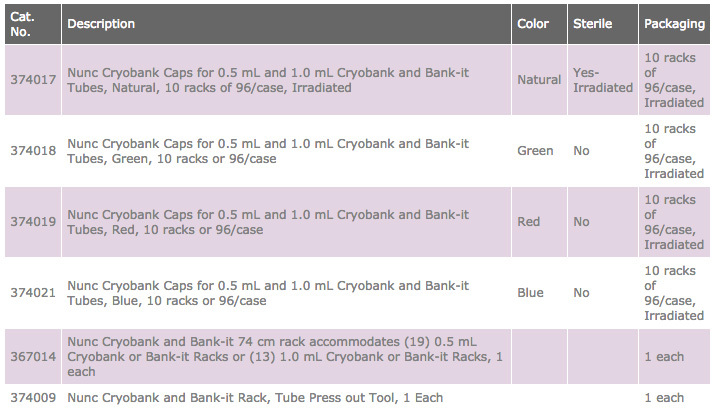 Cryobank products are available in a volume range of 0.5 mL through 5.0 mL, and complemented by a range of certifications. 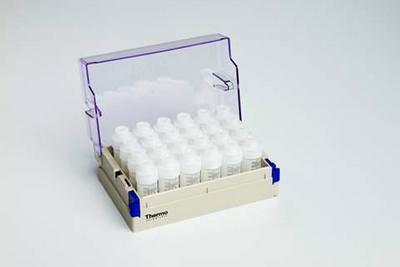 Unique anti-rotation feature allows compatibility with automated decapping/ capping equipment in single, 8-channel, or full-rack options to accommodate multiple throughput requirements. 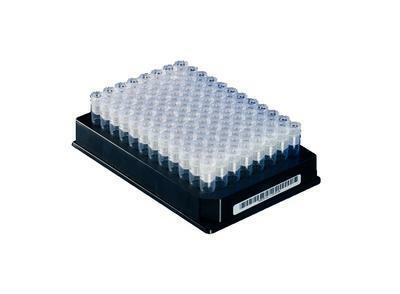 2D barcodes are scanned for readability and checked against a full database of of previous barcodes to ensure no duplicates across the Cryobank storage tube product line. Leak testing validation performed during the manufacturing process to ensure sample integrity is maintained.